As the Gambia Bar Association file court action against the Judicial Service Commission and the Attorney General and Minister of Justice seeking a reversal of the appointments of some Nigerian magistrates, one of which is Simeon Abi who has been featured in this particular blog post. His behavior in his own court has been both unprofessional, rude and a total lack of respect for Gambian journalists. Magistrate Abi and his countrymen who have helped weaponize the Gambian judicial system against Gambians during the dictatorship of Jammeh have no place in our judicial system. They should all be sent packing. 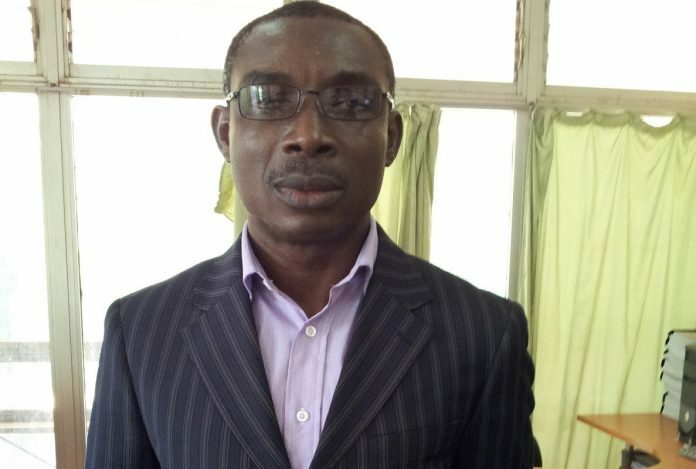 The Nigerian mercenary Judge Simeon Abi, recruited by the Nigerian Deputy Director of Public Prosecution, Hadi Saleh Barkum, not to dispense justice but to imprison the Gambian dictator’s real and perceived opponents, threatened Gambian journalists covering the case of radio journalist Alhagie Abdoulie Ceesay. According to local reports, the judge accused journalists assigned to cover this highly political case of misquoting him and proceeded to threaten them with jail term. Judge Simeon Abi was quoted as saying that a certain media house attributed his absence at the last schedule sitting of the court as a personal choice of opting to stay home. In fact, we reported last week that he declared himself ill, a claim we determined to be false. The judge was feigning illness as a favorite tactic of his to delay cases against political detainees whim Yaya Jammeh considers to be challenging his dictatorial rule. The judges direct threats were followed with stern warning to journalists that he does not want to entangle with them in future. It is not, according to the judge, the journalists who should determine when to come to work and when tp stay home. Well, we have news for this arrogant and good-for-nothing judge that his salary and those of the Deputy Director of Prosecution and Yaya Jammeh are paid by the taxes of those very journalists he’s threatening with jail time. He owes them an apology and to cease using threats against journalists who are in his court to report to their respective readerships at home and abroad.